While a certain portion of the fanbase wants nothing else but to see the Nintendo 3DS put on a stake and killed for good (you only need look at comments when a new Nintendo 3DS exclusive game is announced), Nintendo, on the other hand, wants to keep supporting it as long as possible. 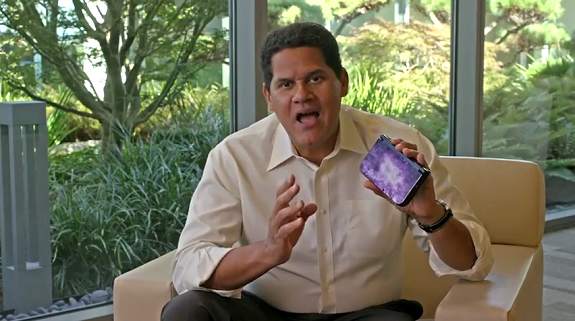 In an interview with IGN, Reggie Fills-Aimé re-confirmed that Nintendo planned to keep supporting the Nintendo 3DS well into 2018, and even beyond. One way make sure it stays a “vibrant” platform is by releasing a new model (the New Nintendo 2DS XL), but also colours. So the New 2DS XL is just the latest for us in having form factor innovation. We know colors are a key differentiator, consumers love the variety of different colors. And also the larger screen and the different form factor in the 2DS family, we think is a going to drive and continue to drive the 3DS platform. Naturally, we can expect Nintendo to release more Nintendo Selects titles in the upcoming months, so that new Nintendo 3DS players can catch up with all the games they have missed on the cheap. For the time being, Nintendo wants both the Nintendo Switch and the Nintendo 3DS to co-exist, which seems to be working… for now! The company doesn’t quite consider its new home console as the Nintendo 3DS successor, which certainly makes you wonder about if Nintendo has one or not (and if yes, when it will be revealed and released).